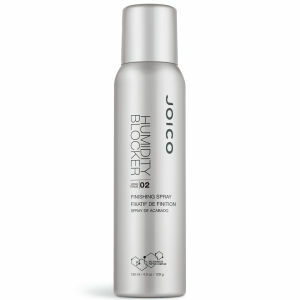 Joico Style & Finish Humidity Blocker Finishing Spray is a light-hold finishing spray which protects the hair from volume deflating humidity. This unique finishing spray creates an invisible protective barrier around each individual hair strand to lock out humidity and eliminate frizz. Perfect for voluminous or curly styles, Style & Finish Humidity Blocker Finishing Spray protects your style from the deflating effects of humidity to keep the hair looking fresh and rejuvenated all day long. 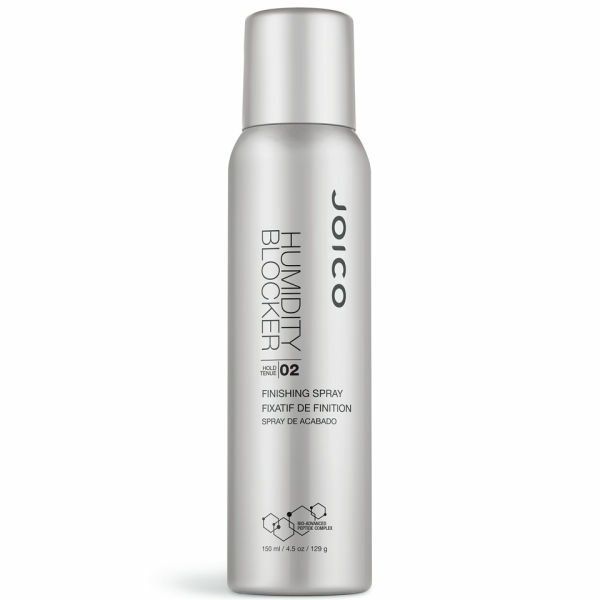 Formulated using Joico’s revolutionary Bio-Advanced Peptide Complex™, Style & Finish Humidity Blocker Finishing Spray replicates the DNA of healthy hair to repair damaged hair and prevent further hair damage. This technologically advanced complex also offers a dramatic improvement in the hairs strength, health and natural shine. Style & Finish Humidity Blocker Finishing Spray leaves the hair looking flawless and protected with a refreshing, pleasant scent.